Keep it fresh, keep it local. Words that have shaped not just our menu but our values and commitment to our customers. We believe in offering honest, wholesome food for a happy, healthy life. We use only the best local and organic ingredients to bring you healthy lunch and breakfast options each day. Mother’s smoothies and fresh juices are made-to-order from produce grown right here in Oregon! Our new line of cold pressed juices embody the evolution of Mother’s over the past 16 years. These juices contain local and organic ingredients and are pressed fresh daily at our dedicated juicing facility. Each cold pressed juice represents years of work gathering knowledge and creating relationships with local farmers, physicians and wellness professionals. Not only do they taste incredible, each bottle has approximately 3 pounds of fresh fruits and veggies to help naturally boost both health and energy. In addition to our line of cold pressed juices, Mother’s Cafe also offers baked goods made from scratch with real ingredients that you can pronounce! The flavors of our sweet breads rotate throughout the year to bring you seasonal favorites like Pumpkin, Lemon Blueberry or Apple Spice. Our granola is made in small batches each week to ensure freshness without the use of preservatives. 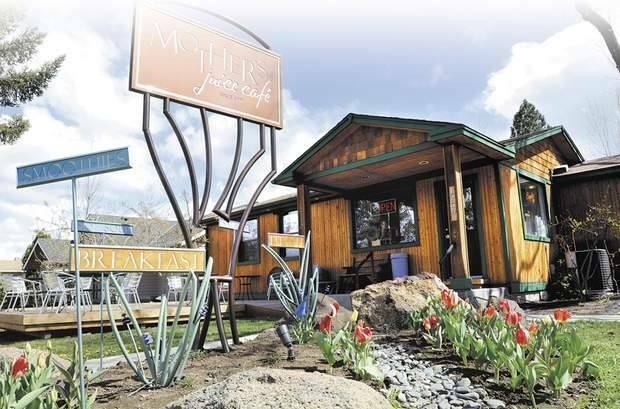 Mother’s Café is dedicated to showing the best of mother’s love through nutritious meals, quality ingredients, and the best of local farms.